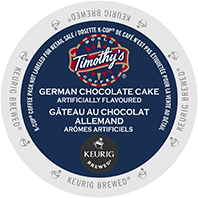 A Day Late and A Dollar Short: Timothy's German Chocolate Cake Keuring Coffee Sale! Timothy's German Chocolate Cake Keuring Coffee Sale! Remember, this sale is good for a week and orders over $59 get **FREE** shipping!